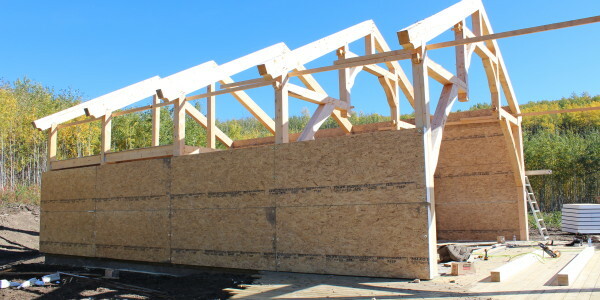 Timber frame constructed by Eternity Timbers near Charlie Lake, BC. 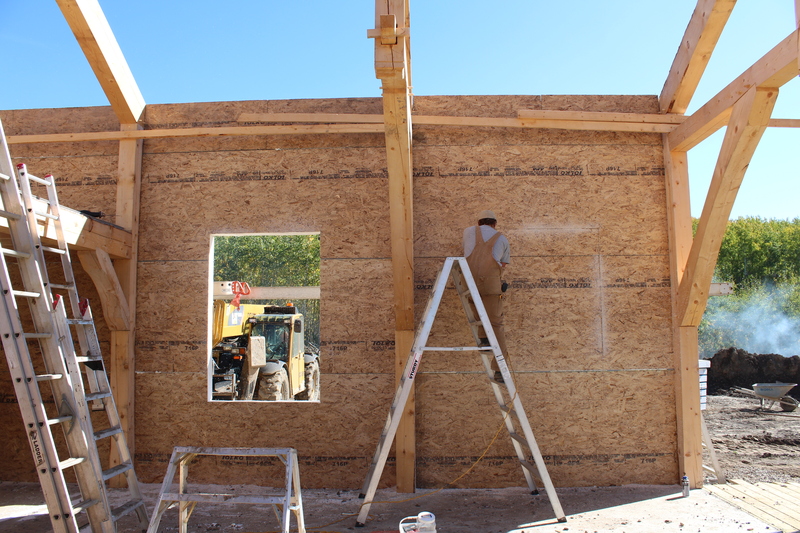 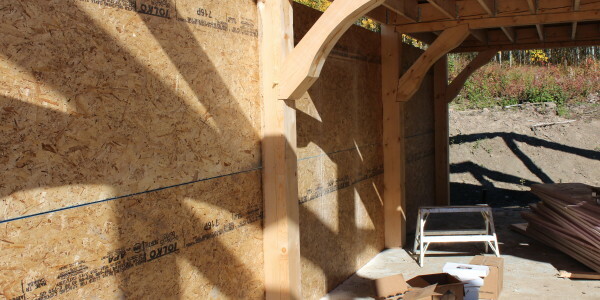 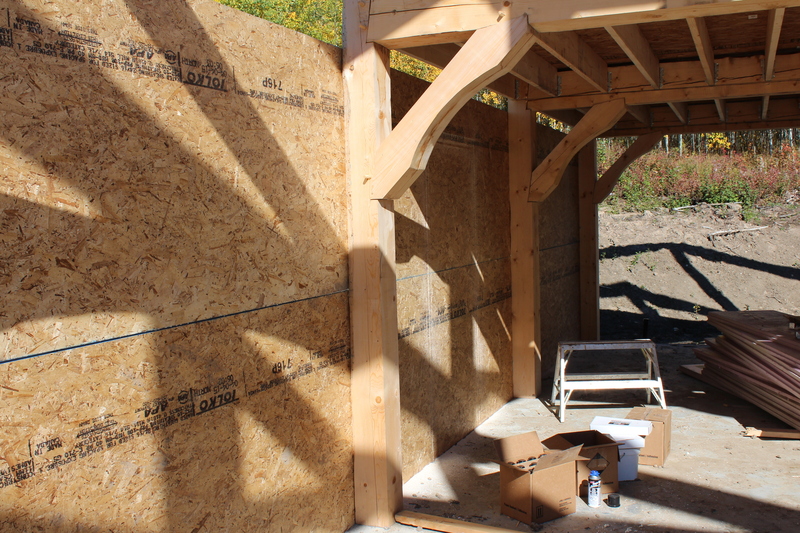 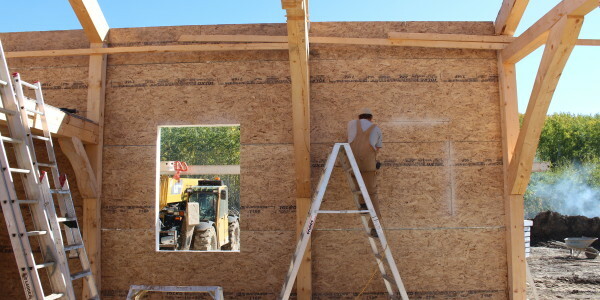 Andrew and Clayton cut and blocked standard panels, 6-1/2″ Wall panels and 10-1/4″ roof panels, to enclose the custom built timber frame. 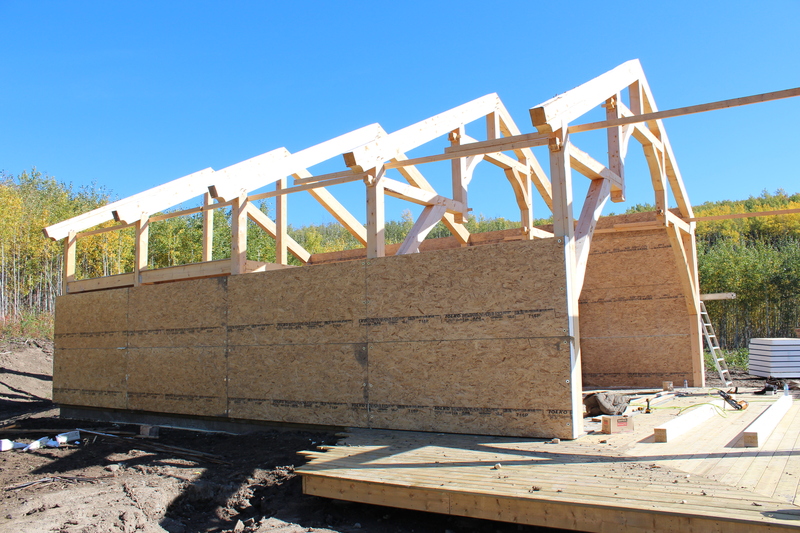 A beautiful location for a beautiful energy efficient cabin constructed near the north end of Charlie Lake..